Here’s a recipe for a natural, food-safe wood finish that’s easy to make & use. It uses only beeswax and mineral oil which are non-toxic and edible, making this finish a perfect solution for wooden utensils, cutting boards, children’s toys, or anything that could go into mouths or into contact with food. The finish color is subtle, and depends on the color of beeswax used. 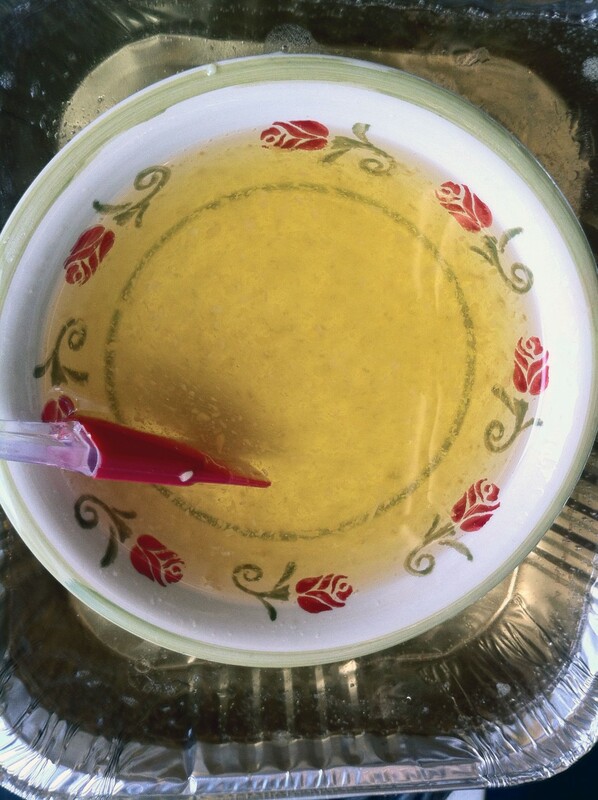 Place the oil and wax in a double boiler over medium-high heat. Be very attentive when heating, as the materials can be flammable. 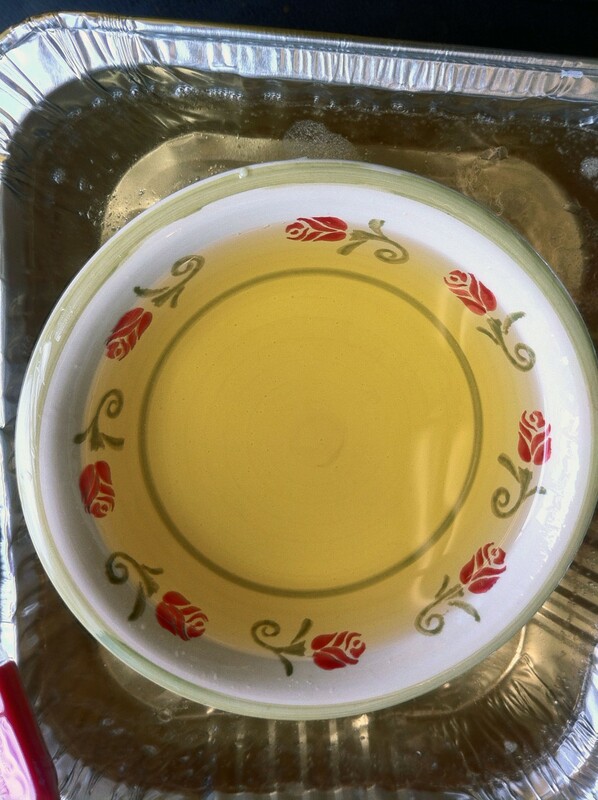 Stir until the wax and oil dissolve into a clear liquid. This should happen at about 160° F / 70° C.
Cool the mixture to room temperature. 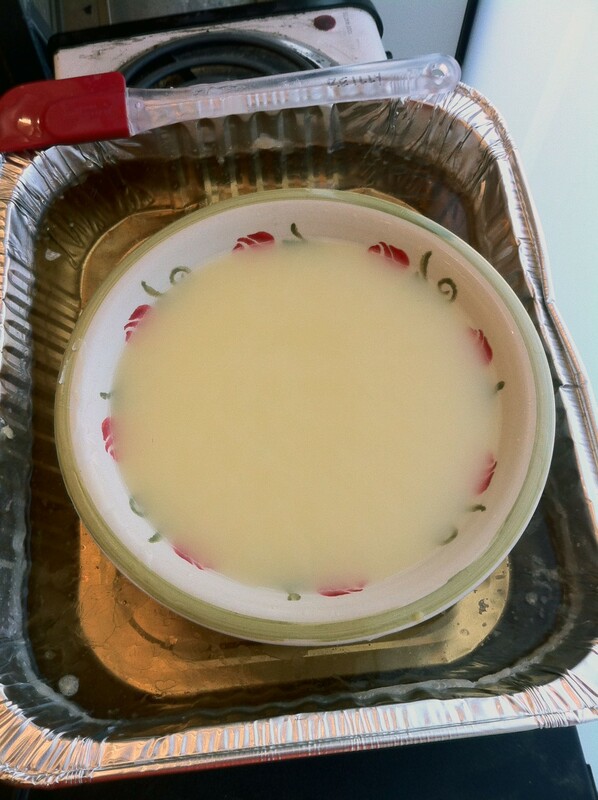 It will turn opaque an be roughly the consistency of butter. To apply, wipe a thin layer onto sanded wood. Let dry for a few minutes, then wipe off the excess. The wood will be a little greasy at first, but will dry over a few days. 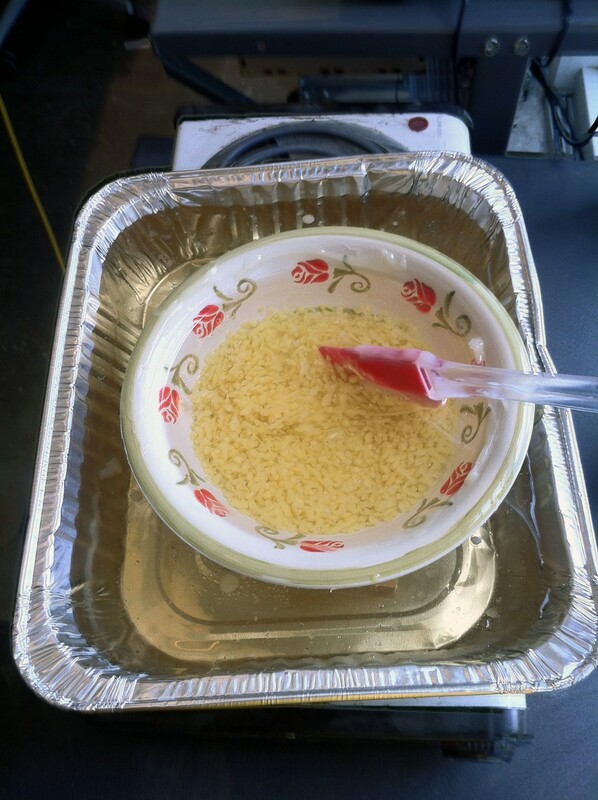 Stir Continuously Over Medium-High Heat. Don’t Start a Fire. Continue Stirring Until the Liquid is Clear. Cool to Room Temperature. You’ll have a mixture that’s opaque and similar in consistency to butter. 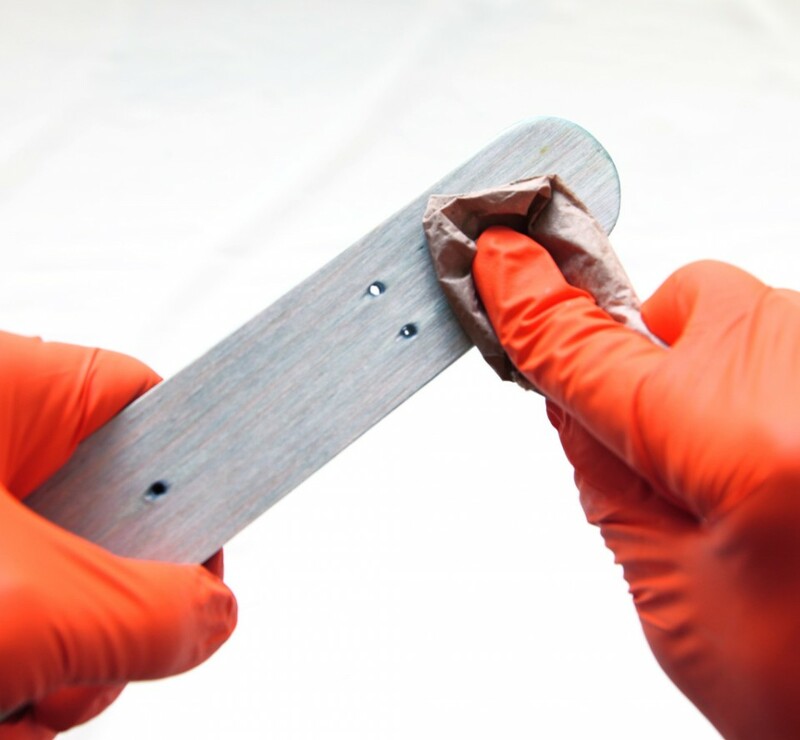 To apply, wipe a thin layer onto sanded wood. Let dry for a few minutes, then wipe off the excess. 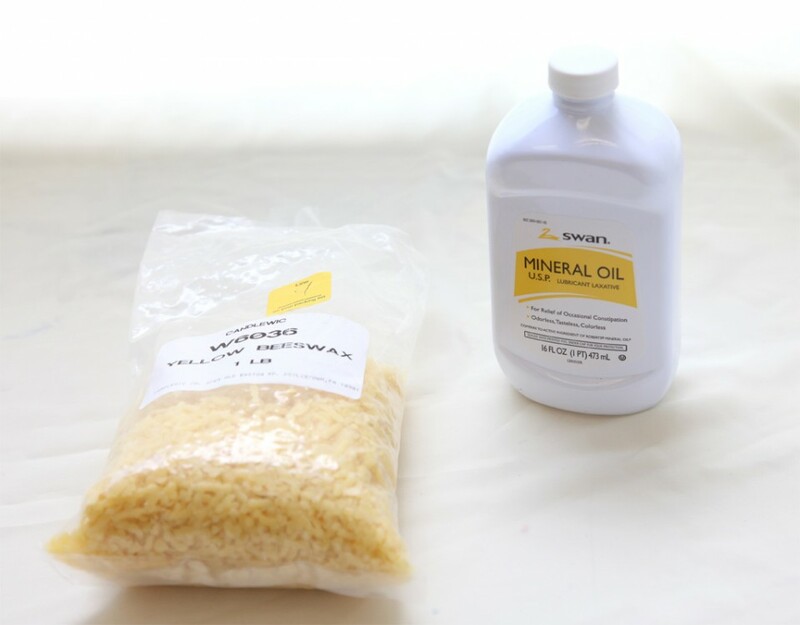 I love to use the mineral oil for a lot of stuff, including as honing oil for when I sharpen my kitchen knives. The wood butter is also great at waterproofing some footwear and outer clothing like dusters and other wax cloth apparel. I found this page via your page on food coloring as a wood dye. If I use this sealant method, how sealed will my wood be? Would saliva from a child putting the object in their mouth wear it down and cause their mouth to turn green? It’s basically the same sealant you’d put on a cutting board, and will need to be reapplied from time to time as it does wear down. So yes, there is a possibility of a green mouth occasionally!